Southern Potato Salad, family gatherings are not the same without Mama's potato salad, cubed potatoes, chopped onions, chopped dill pickles, chopped boiled eggs and mayonnaise with a little mustard. The secret to my Mom's potato salad is in how you cook the potatoes. She always said you have to cook them with a tablespoon of salt in the water. She told me you can never get the right flavor in the potatoes if you don't. She is correct. 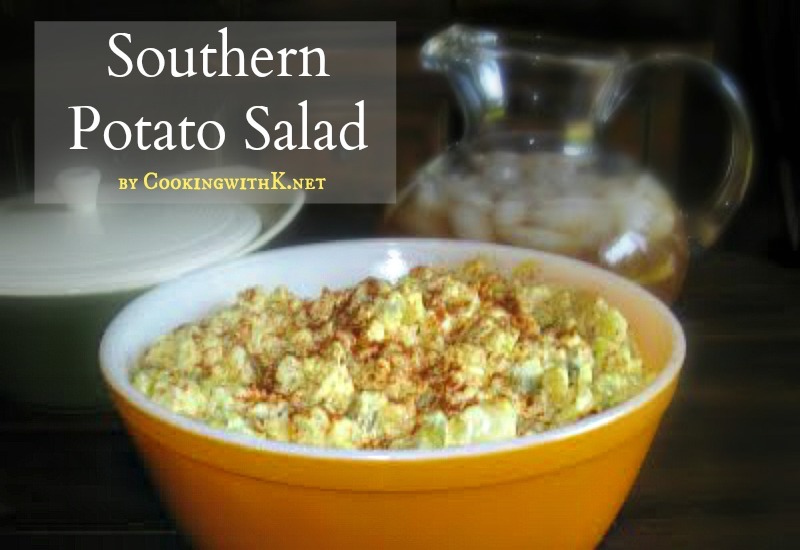 It makes all the difference in the overall flavor of the potato salad. I have had this recipe in my head for years. I am just now getting it written down on paper. I remember my mother would make potato salad from Easter on through to Labor Day. It is so funny, and it reminds me of the old tradition of when you would NOT wear white clothes or shoes before Easter and stop wearing them Labor Day. Even though I keep on making potato salad all year long, I still remember those days gone by like they were yesterday. This weekend I decided to make Mom's Potato Salad recipe, and maybe I could capture some of her smiles she would be giving me if she were here today. I remember her always smiling when she saw everyone enjoying the food around the dinner table. In a large stockpot, add potatoes and fill with enough cold water to cover just over the top of the potatoes. On medium-high heat, cook the potatoes just until fork tender. (That is when you stick the fork in the potato cube, it will only separate in half and not fall apart.) Drain potatoes well and pour them out onto a large cookie sheet or two. In a large mixing bowl, gently mix together cooled potatoes, diced dill pickles, and diced onion. In a small bowl, stir together salad dressing/mayonnaise and mustard; mix well. Pour salad dressing mixture over the potato mixture; gently mix together thoroughly. Add salt and pepper to taste. I start off with a teaspoon of each and taste to see if more is needed. Fold in diced eggs last to keep from mashing them too much; mix lightly, but thoroughly. Transfer to serving bowl and garnish with paprika. Refrigerate until time to serve. Cooks Note: It is important to cook the potatoes in cold water. Warm water will make the potatoes gummy. Depending on how wet or dry you like your potato salad, you may add more salad dressing/mayonnaise and mustard mixture. We use the same recipe but add a bit of Marzetti's Slaw Dressing and French dressing with all of the other ingredients! Delish! When boiling potatoes and little seafood liquid boil for a little extra kick to potato salad. About a cap full like Zatrain seafood boil. Sounds like a New Orleans thang...hehehe. Red potatoes are much better. Boil with peeling on until done, peel and chop. We also add celery seed. Thank you for stopping by. We prefer the russet potatoes in this recipe. Red potatoes and the addition of celery seed in the potato salad makes a totally different tasting potato salad for which I am sure is delicious but not in this recipe. 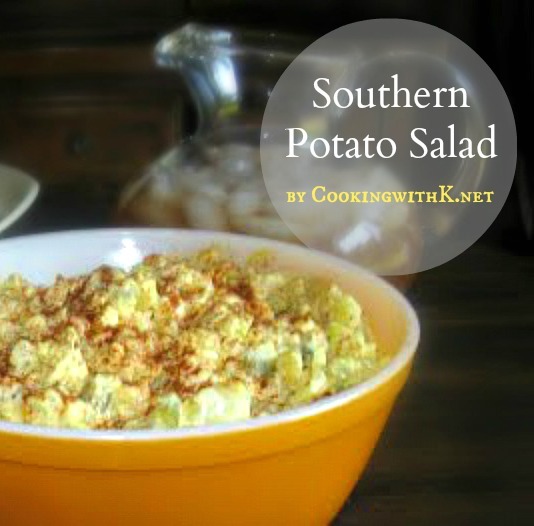 I love potato salad and this one looks and sounds like a keeper, Kay! Potato salad is summer staple in my family. Thanks so much for all the delicious shares each week at Weekend Potluck! Make my potato salad almost like yours - Russet potatoes for sure - except I do not use the dill pickles in it; cut the mustard to 2 tablespoons; one small red onion - finely diced and of course Best Food Mayo. 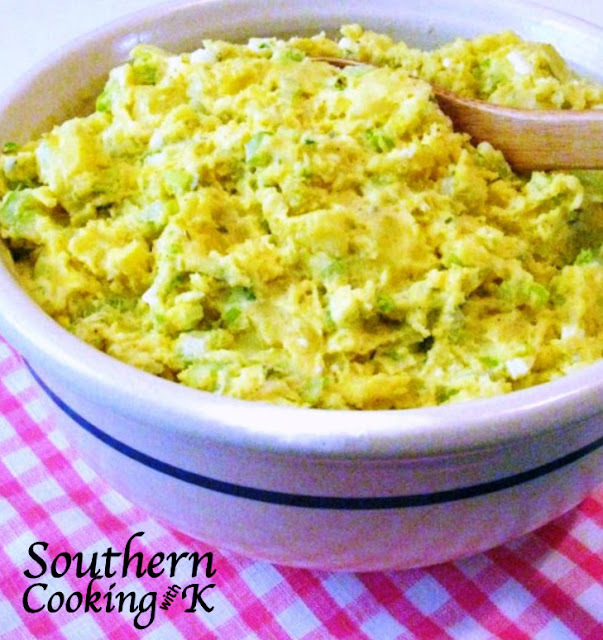 Your potato salad sounds delicious....thank you for stopping by CWK! Sorry, but my mom's potato salad is better than your mom's potato salad. Hers had 2 secrets and I'll tell you one. You ONLY use red potatoes and boil them SKIN ON. And, no good potato salad ever came from using Miracle Whip in place of real mayonnaise. I am sure your Mother's potato salad is delicious...thank you for stopping by CWK! I can’t believe the attitude that some of your readers express in their comments. You’re sharing your recipe, not in any way indicating that yours is the only way to make whatever the recipe is about. I have always looked upon a recipe as a roadmap; and like all roadmaps, there’s always other ways to get to your destination, but this is how the mapmaker does it. So to me, a recipe is how the person offering it does it; and the recipient is free to make any changes they so desire. But they should do so with some gratitude towards the originator and with some sense of humility towards how they would do it; e.g., stop criticizing the one who was nice enough to offer the suggested recipe in the first place, e.g. YOU! On behalf of those who visit your page, and possess some form of manners and social interaction skills, thank you for your efforts. Thank you Tom for stopping by and for your sweet words...they are SO appreciated. Close to my mom's also and the tip about the salt...exactly what my mom did too. She added a little white onion, sweet relish instead of dill, and Hellmanns. Talk about good! Oh and she didn't make a "dressing" just "dumped" heaps of mayo and mustard to her liking 😄 Thanks for sharing Kay. I have never been able to make potato salad and get the taste that both my husband and I liked, until now. 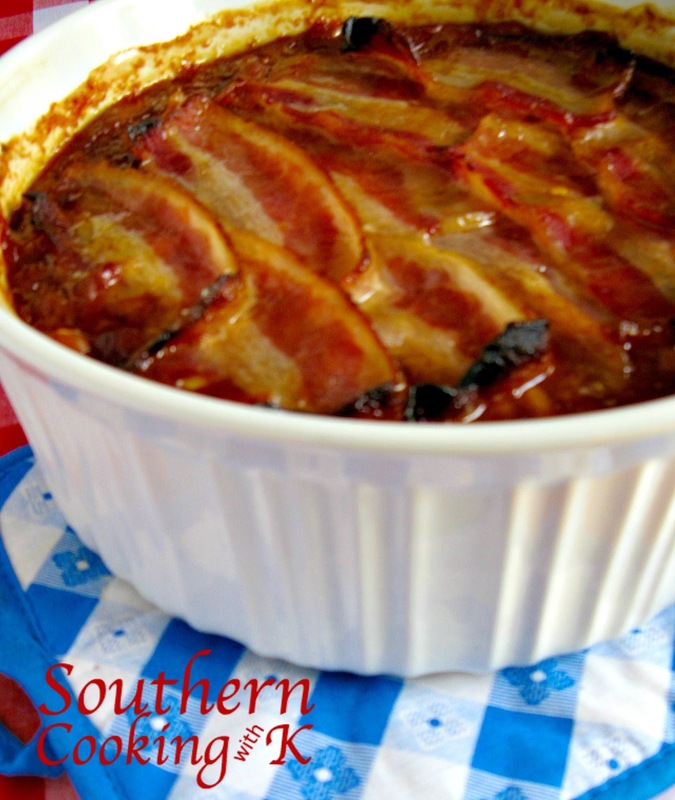 I made this for our 4th of July cookout and it is the best. My brother-in-law also said this is the way he liked potato salad. I will be using this recipe from now on. Thanks for sharing. So happy you and your family enjoyed the potato salad...and thank you for stopping by to leave a sweet comment!